BlogTell the GOP: Yes or No Votes for Obama’s DC Circuit Nominees! 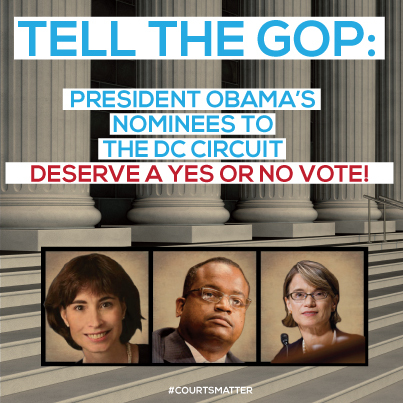 Tell the GOP: Yes or No Votes for Obama’s DC Circuit Nominees! 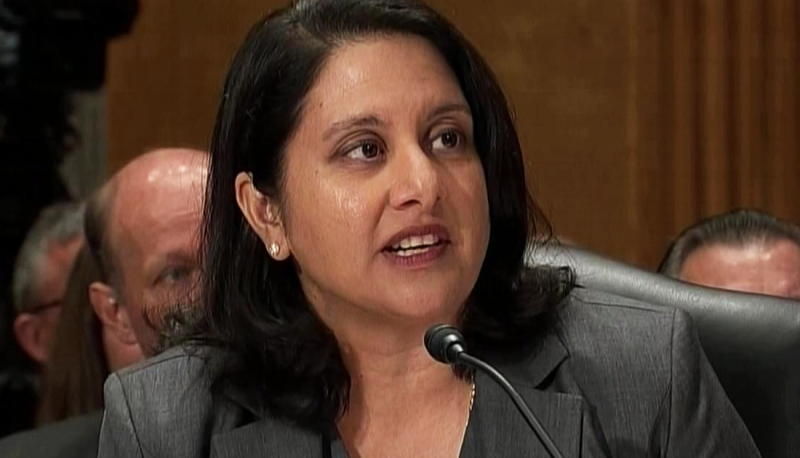 Now that we’re well into President Obama’s fifth year in office, there are no prizes for guessing what the GOP’s response is to a diverse slate of nominees to the critical DC Circuit Court of Appeals. Even before they were nominated, Republican Senators were laying the groundwork to block anyone nominated to the circuit. 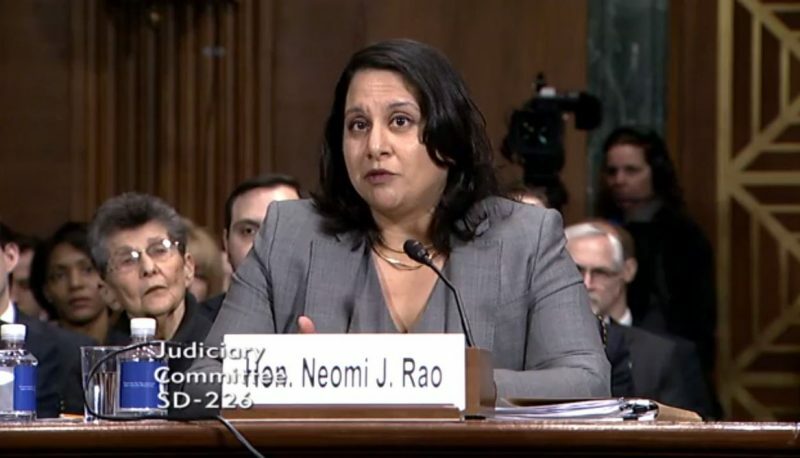 Now that President Obama has nominated three unquestionably qualified jurists with broad support from across the ideological spectrum…Republican leaders are still intent on denying them simple yes-or-no votes. We’ve created a simple graphic to share on Facebook to let Republicans know you’re watching how they treat this diverse set of nominees. Click here to share.